Can tooth darken after the treatment? 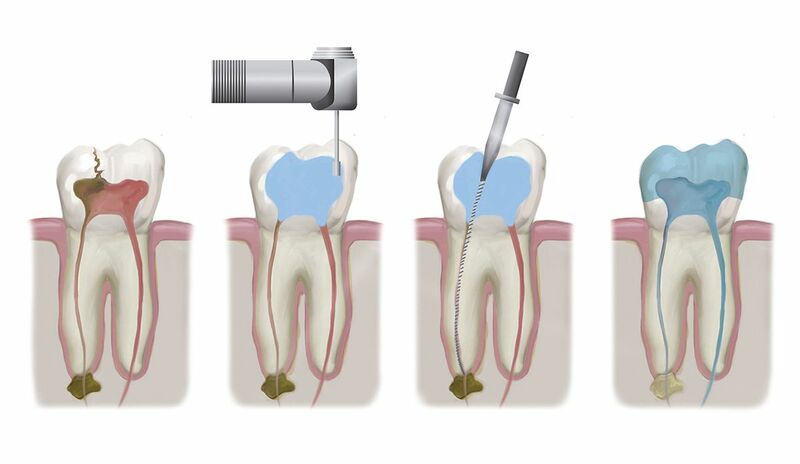 Root canal treatment (endodontics) is performed to save severely damaged tooth or to treat infection or decay at the center of a tooth (the root canal system). At our dental clinic, we try our best to make sure our patients can use their natural teeth as long as possible, therefore whenever we can, we suggest a root canal treatment instead of extractions. During the root canal treatment, the infected pulp (the soft tissue at the center of the tooth) is removed, then the tooth is sealed with a filling. All of the above can lead to intense toothache and painful, swollen gum around the tooth, which signals that immediate intervention is needed. At our dental clinic, our experienced dentists are using the latest technologies to assure a professional, painless treatment. Before the treatment a panoramic x-ray or an intraoral x-ray is taken to examine the root canals. The dentist opens the tooth through the crown and removes the infected pulp. Since this is done under local anesthesia, the treatment is completely painless. The dentist cleans the root canal and enlarges it, so it can be easily filled. Root canal treatments can extend the life of natural tooth, but most people think it’s a complicated and painful procedure. There are quite a few common beliefs about root canal treatments, but most of them are not true. Thanks to local anasthesia, the treatment is completely painless, and if you experience any discomfort after the treatment, that can be managed with painkillers according to the instructions of your dentist. Because the tooth will need to be extracted anyways. This is not true, as the point of the root canal treatment to save the inflamed tooth and to allow the patient to keep their natural teeth longer. Some people think they only need to visit their dentist when they have a toothache. However, regular dental check-ups are very important as root cavities can go undetected for a long time and only cause pain and inflammation when they are in an advanced stage. This is not quite true, as sometimes the root canal treatment can only be performed in multiple visits. It is very important to complete the devitalisation, as the temporary filling is not able to protect the tooth during an extended period of time. Additionally, even after the root canal treatment is completed, regular dental check-ups are recommended to keep a perfect oral health. It is natural to experience a certain level of discomfort once the effect of the local anesthesia stops. This is due to the invasive nature of the treatment, but it should go away soon. Your dentist will recommend painkillers you can use during this period. If the pain gets worse or remains during several days, inform your dentist! Teeth grinding can put too much pressure on the tooth, which can damage the temporary filling. The pressure can also cause inflammation in the freshly treated area, therefore wearing a mouthguard at night is recommended. In rare cases, the inflammation can spread to the jawbone, which causes sharp pain and the swelling of the cheek. At our dental clinic, inlays, onlays or crowns prepared with CAD/CAM technology can also be placed on the devitalized tooth root. 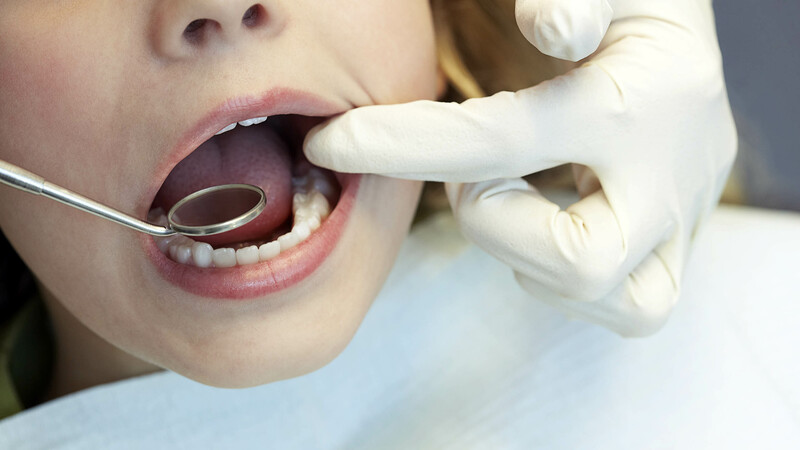 Every dental treatment has pros and cons, and so does root canal treatment. While it allows the patient to keep their natural teeth longer, the tooth decay and the inflammation can cause the structure of the tooth to become more fragile. This is due to the fact that after the devitalisation there is no blood supply to the tooth and the tissue cannot regenerate itself. Sometimes teeth can get discoloured after a root canal treatment. Teeth whitening, inlays or onlays can provide a solution to these problems. Can tooth get discoloured after root canal treatment? The most common cause of tooth discoloration after root canal treatment is a small amount of pulp being left inside the tooth. The decomposing pulp can make the tooth darken. The staining can also be caused by the root canal medications. 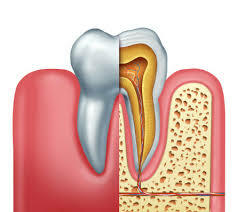 However, not all root canal procedures will discolour or stain the tooth. Smoking and the frequent consumption of dark coloured beverages can make you more prone to teeth discolouration.